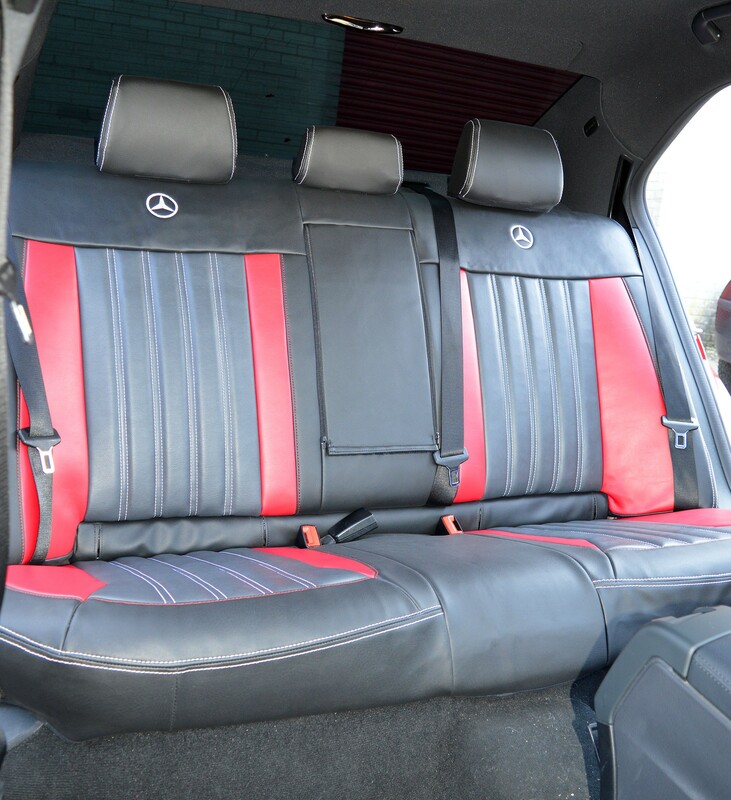 These seat covers have been created to the customer's specification and were to compliment the exterior of this Mercedes E-Class AMG. 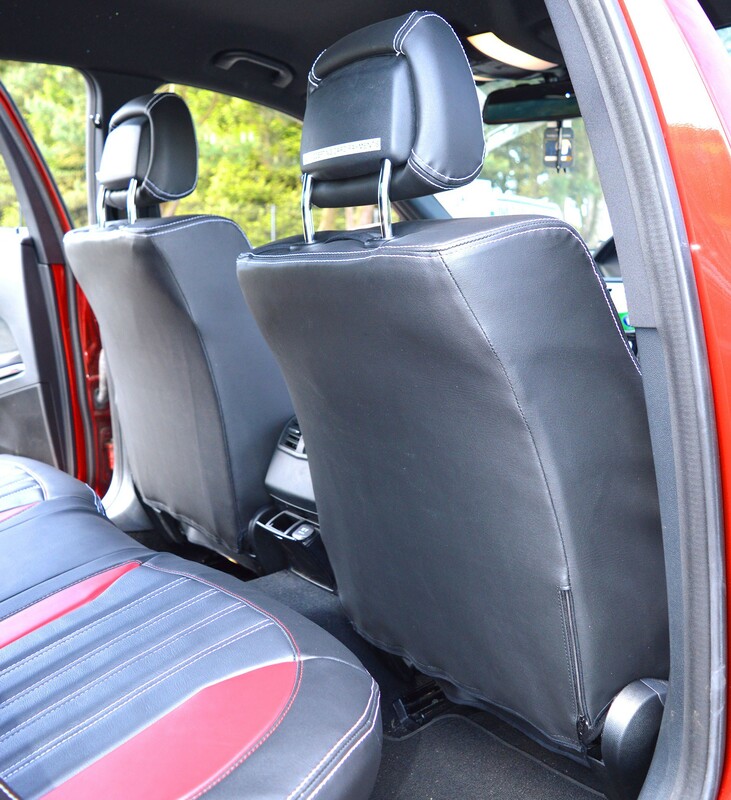 Not only do these transform the interior of the vehicle, but they will also help protect the original seats underneath. 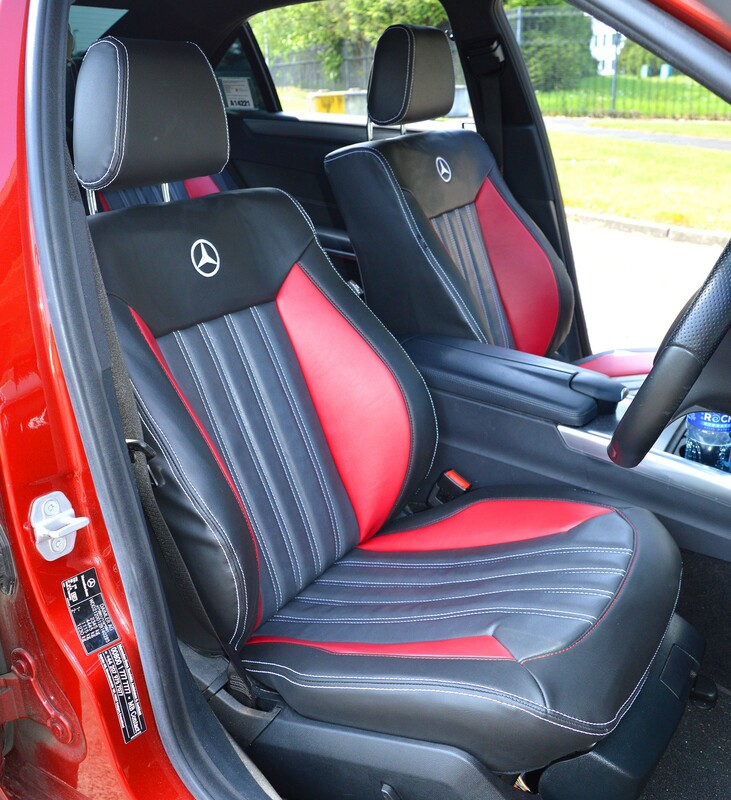 Our seat covers are designed and manufactured using the best available cutting equipment and hand sewn to ensure that the customer gets the best quality fitting product for their vehicle. 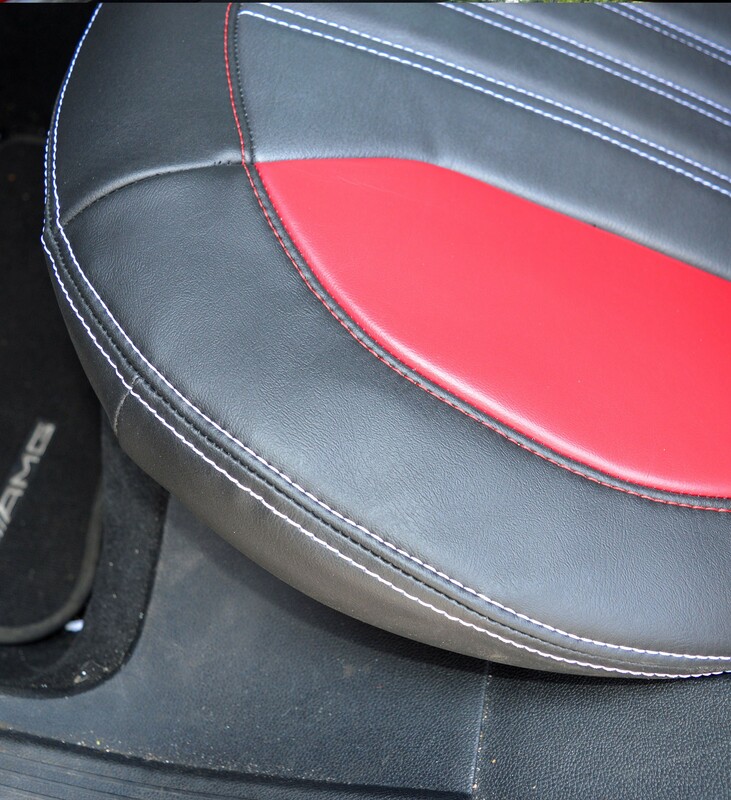 These give a tight glove like fit and are a great alternative to having the seats reupholstered. 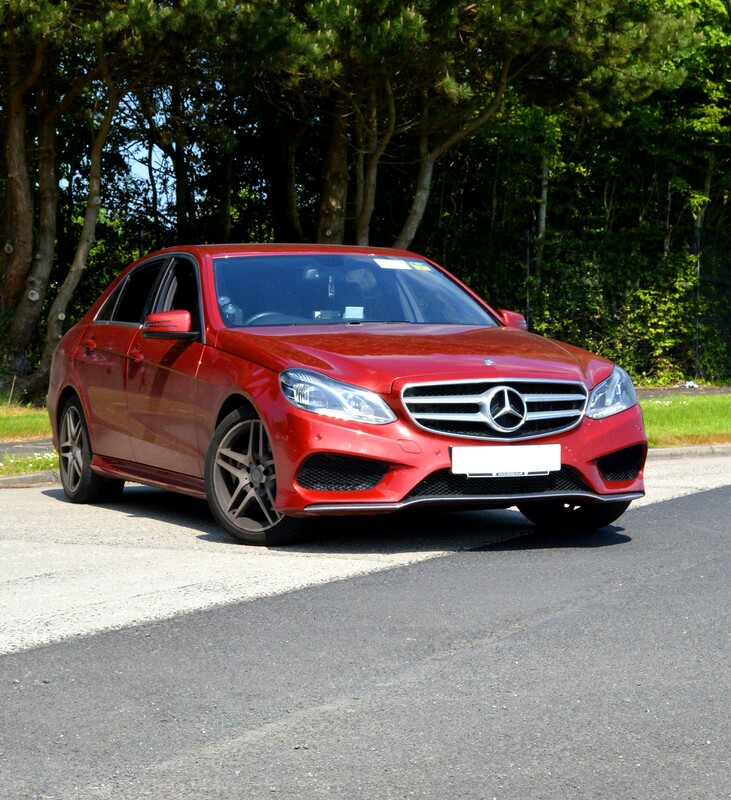 They can be fitting in a couple of hours and cost considerable less than a re-trim. 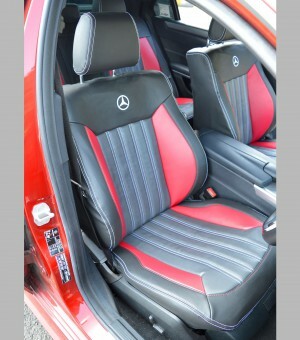 Price stated is for the seat covers pictured. 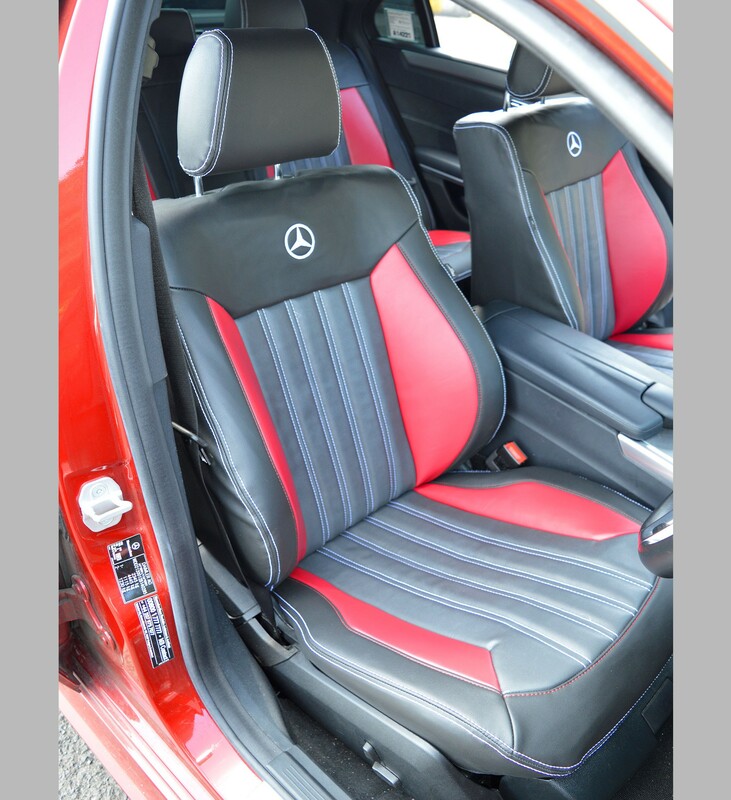 These are all Black, Modena Centres & Sienna Red Leatherette with White Double Top Stitching, Foam Backing, Vertical Quilting and Mercedes Logos. The colour and type of the material can be changed, along with the colour of the stitching at no extra cost (excluding genuine leather). Please note we may require a picture of your seats to ensure we create the best quality product for you.